We all know that finding a decent gift for a guy could be a full time job. Even worse, is all the guys around looking at their wives getting clothes, smell goods, and even lingerie delivered every month. Why shouldn't guys interested in Tactical and EDC gear get the joy of a surprise delivery every month? 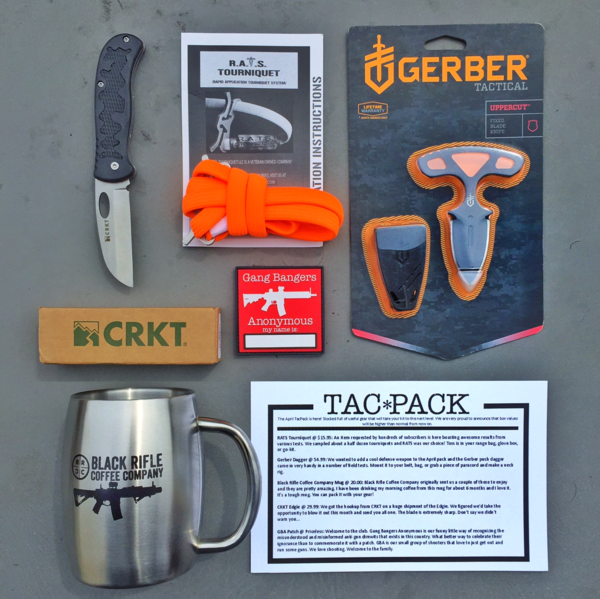 Whether you are into guns, survival, or tactical gear, TacPack has the subscription box that you have been looking for. We have all heard that imitation is the most sincere form of flattery. But honestly, at this point it is becoming laughable. Although there are larger, more "corporate" tactical subscription box companies, our 1000's of fans love the value we deliver every month.